Honda will make a two-wheeled vehicles which are armed with machine supercharger. This is Honda NC750 are now beginning to busy discussed between the riders. 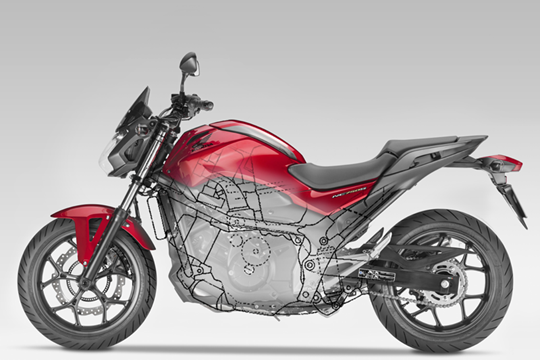 Honda also has showcased official sketches NC750. It is predicted to compete with the Kawasaki Ninja H2 which have been first put on supercharger technology. For matters of mechanical heart, Honda NC750 uses two cylinder which is actually positioned as an urban bike. Then the location of the supercharger sits in the back of the cylinder block. Air filter box will be placed in the space between the left and right leg rider, if we refer to the sketch. Well, the use of technology superchager seemed more intensively conducted by the two-wheeled automobile manufacturing. The reason is the exhaust emissions released smaller than using contemporary injection technology. Kawasaki first prove it. They tested the emissions of the Ninja ZX-10R Ninja H2. The laboratory results stated that the Kawasaki H2 emission is lower than the Kawasaki ZX 10R with the same energy. Now, by using a supercharger technology, each manufacturer claims that the motor will also provide fuel efficiency and more powerfull.